Founder of Krypto for Kids has been with Women Investing in Women Digital for over 7 years, since its inception. She has travelled across Asia, the Middle East, Scandinavia, The Caribbean, and North America attending international conferences and summits where she has been both an active observer and participant. Arya was also involved in over 100+ radio productions for Women Investing in Women Girls Radio Show on The State of Women Radio Network that are now featured on Voice America Kids, ACAST, and iTunes. Moreover, she was the youngest participant last year in the Code-a-Bot: AI and Robotics Summer Camp with ID Tech at the University of California Irvine where she learned how to program her own Cozmo. She will be leading the LIVE Bitcoin Rig Construction YouTube Video Demo during our global launch of Krypto for Kids along with Max Sindall who will be joining us from The Sultanate of Oman. Little Miss Bhardwaj is a ballerina/hip-hop dancer, crypto enthusiast, chess player (somewhat competitively), enjoys Nintendo Switch, surfing, and is a black diamond, downhill skier when not being a super funny second grader. Devon Rose Payne is a student at Indian Valley Elementary School in Walnut Creek, California. Devon is the Founding President of the Animal Scooter Club, a fashion model for an eponymous label (her mother is a Project Runway fashion designer), a YouTube creator and an avid player of Minecraft. She has attended the AI and Robotics Summer Camp with ID Tech at the University of California Irvine for three years in a row and is interested in gaming, hacking, robots and animals (she has a python, a "Picakeet" parakeet, a dog "Bik-Wu" and a bearded dragon lizard). Devon loves swimming, playing on the beach, playing with Mochi (Shiba Inu) and playing computer games. 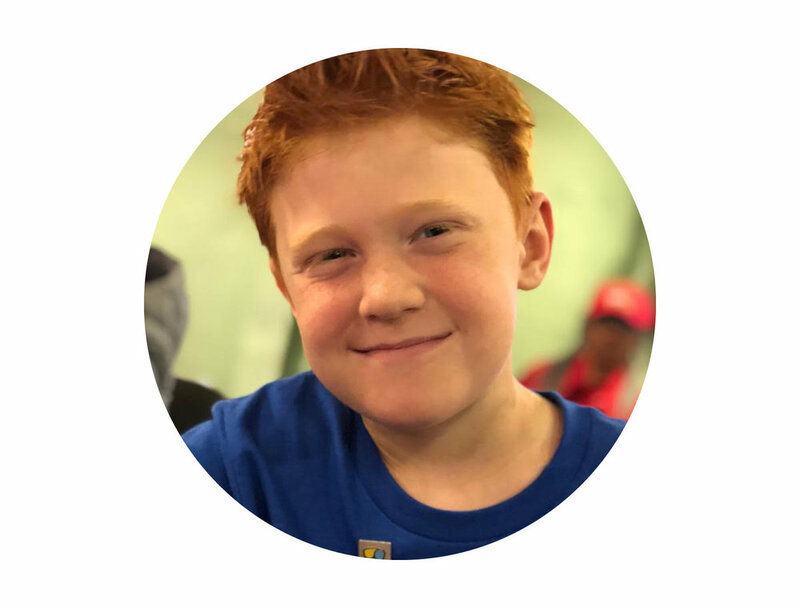 Deklan Price, 7 years old, loves all things tech and wants to be a video game designer when he grows up. He has started learning to code in Scratch and has made some Minecraft mods. Deklan is learning the basics of cryptocurrency. Rider Tinsman is an 8th grader from Austin Texas. His interests include reading, strategy games, history, and Brazilian jiu jitsu. He also built his own PC for running Oculus virtual reality. He got involved with blockchain technology about a year ago. Mark is the CEO of Devslopes, a learn to code company that has taught and helped over 350,000 people learn to code and obtain new careers in technology. He also runs a small blockchain consulting firm named Blockstart. As a veteran engineer and technologist, he now spends most of his time advocating and developing upon blockchain technologies. Mark and his wife have 6 children and live in Austin Texas. "I'm super excited to take part in Krypto for Kids. More than ever before it is important that we teach our children about money management and self governance. Cryptocurrency brings opportunities and education that have never been available before to youth in a world of corporate controlled financial institutions and government-operated systems. Cryptocurrency will change the way future generations interact with money and programs like Krypto for Kids is how it will happen." 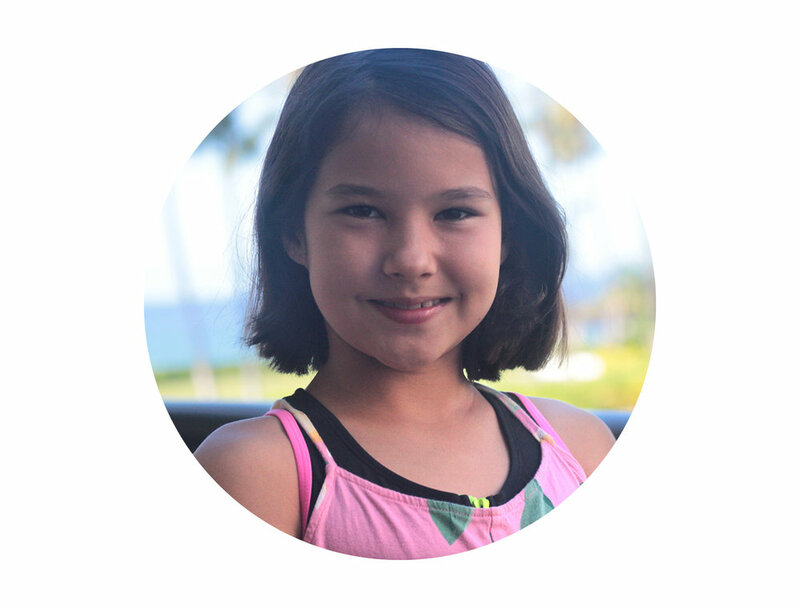 Leighton Brechtel is a 9-year-old STEM and coding enthusiast. Leighton studied programming at USC Department of Computer Science's CS@SC, and server building through STAR's Minecraft Academy program. In her free time she enjoys drama and theatre classes, making iMovies, and playing SIMS and Minecraft. Leighton's motto for life is "If you must choose between being right or being kind, choose kind." Adriel Friedler is a junior at Monte Vista High School in Danville. 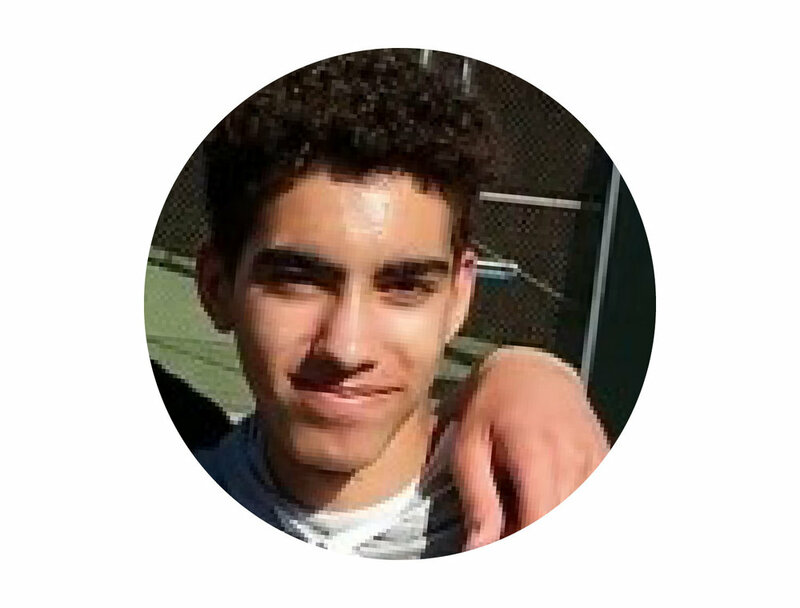 He's on the high school soccer and track teams, enjoys programming and having fun. David Moss is CEO of StrongBlock. He has the distinction of holding two prominent roles in the creation of EOS, the decentralized blockchain operating system: as SVP of Technology Operations at Block.One leading EOS technology development; and as co-leader of the EOS mainnet launch with the worldwide Block Producer community. Previously David was the founder of an Enterprise technology consultancy, the founding CIO of Edmunds.com, President of an entertainment production company working with top international artists, and a consultant for Oracle Corporation. Alex is the North America lead for NEM and is a member and advisor of the NEM Foundation. She created the Inside NEM YouTube series which quickly became an official channel of NEM and is now translated into multiple languages. Alex brings two decades of software analytics, marketing, and community development experience, with a focus on online gaming and digital entertainment. She worked on some of the world’s first digital tradable assets in Pokémon Online and Magic: The Gathering Online. She also led launches for League of Legends, the world’s number one grossing PC game, as well as product launches for Xbox and Raptr, a game data analytics startup. Natalia is a Senior Finance Executive with multi-industry experience. Her expertise is in strategic financial planning, decision support, operations management and change management. She holds Master’s degrees in Computer Science and Business Administration as well as CPA/CMA accounting designation. She is a co-founder and a Board member of CryptoChicks and is inspired by its mission – to grow professional and leadership potential of women in blockchain technology through education and mentorship. After its launch in July 2017, CryptoChicks transformed itself into a global education hub with chapters and educational programs running in Canada, US, Pakistan, Russia, Bahamas, and Bulgaria. Founder of SHEQ+, Women INVESTING in Women DIGITAL, the world's largest digital media platform focused on Women & Investing with a special focus on Blockchain. Launched in December 2014, WIIW Digital includes over 1,000,000+ followers on FaceBook across 120 countries; the “Women INVESTING in Women and Girls” Radio show on Voice America Kids/Podcast Series on Apple ITUNES, The State of Women Radio Network in partnership with Star Worldwide Network, and the WIIW Global Summit & Women in Private Equity Roundtable Series, which took place in New York City, Stockholm, Johannesburg, San Diego, Scottsdale, Muscat, Singapore, Phoenix, Vienna, & Ankara. 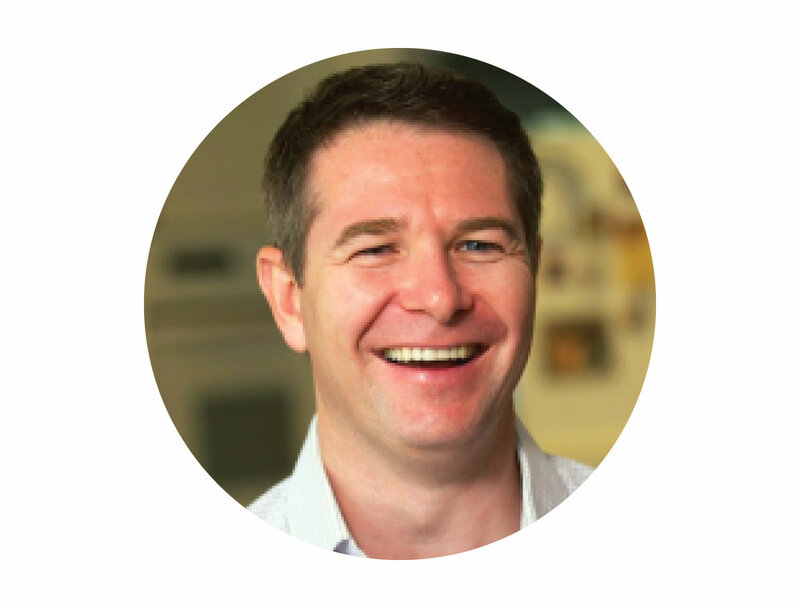 Joe Stolte is a serial entrepreneur and early stage technology investor with broad experience founding, advising and investing in innovative technology companies. Previously Joe was the Chief Operating Officer at Lottery.com where he led efforts to create one of the world's first security token offerings. He is currently a General Partner at VIN Prime Capital and an advisor to FullCycle Fund. Nataliya Hearn (Ph.D. Materials Engineering University of Cambridge) Professor turned serial entrepreneur. Founder and CEO of Element 21 (ranked as the fastest growing company in Canada run by a woman W100 2009) that brought Scandium technology from the former Soviet Union to sports (baseball, golf, lacrosse), electronics, and aviation industries. Organized the launch of the golf drive from the International Space Station (2006). Featured in Forbes (June 2010) for developing space age material for Mount Everest team with the warmest and thinnest jackets using ZeroLoft insulation material. Designed and marketed one of the most popular professional fishing rod lines — Carrot Stix. Director of numerous public and private companies including ICOs: Chain of Points (loyalty program ICO 2017) and PNIK (asset – colour diamond – based crypto). Software development team lead turned entrepreneur. Elena Sinelnikova founded CryptoChicks.ca in July 2017 with the vision to empower and inspire women interested in learning about blockchain and cryptocurrencies. She managed to involve hundreds of women who became blockchain evangelists, blockchain developers, blockchain entrepreneurs themselves. Elena developed CryptoChicks into an international hub for women talent in blockchain technology with programs in Canada, US, Russia, Pakistan and Bahamas and major hackathon events that are supported by Royal Bank of Canada, Deloitte, Microsoft, IBM. Elena holds a Master of Computer Science and her specialties are in blockchain, cryptocurrencies, application architecture, software design and development. Veronica Reynolds is a third-year student at UCLA School of Law, where she is currently researching government adoption of blockchain. She Co-Founded Blockchain at UCLA along with an incredible team of engineering and business students, and also co-founded Women in Blockchain, Los Angeles. Prior to law school, she worked as the Director of Digital Marketing at Epitaph and ANTI- Records. She received her undergraduate degree in 2013 from the University of California, Berkeley. Rachel Payne started FEM Inc. when she realized that there was an enormous opportunity for innovation in entertainment using a data-driven approach. In her prior role as Principal, Global Strategic Alliances at Google, the global point of contact for some of the company’s most important relationships, she worked with top executives across the company to develop comprehensive including Sony. It was in this capacity that she was able to identify a unique opportunity strategies for their largest global partners, including Sony, Disney, NewsCorp and in the entertainment ecosystem to serve to meet a diverse set of user needs for better Samsung. She also served externally as the global point of contact for some of the entertainment. company’s most important relationships, including Sony. It was in this capacity that she was able to identify a unique opportunity in the entertainment ecosystem to serve to meet a diverse set of user needs for better entertainment. Prior to this, Rachel was Head of Industry for Technology, running cross-platform media sales teams managing advertising spend from Google’s largest technology partners. She originally joined Google on the founding team of Google.org. She later led Google’s meet a diverse set of user needs for better entertainment. Prior to this, Rachel was Head international business operations in emerging and developing markets as a Country of Industry for Technology, running cross-platform media sales teams managing Manager in sub-Saharan Africa, on the regional Africa management team. Rachel has been on the founding or early teams of several successful ventures in Silicon Valley including Hotwire (acquired by IAC) and Billpoint (acquired by eBay). In 2005, Rachel Co-Founded inDplay - a media company providing cross-platform distribution for independent, professionally-produced content - and served on the Board of Directors until 2007 (acquired by Discovery Media Group); angel investors included: Eric Schmidt, William Randolph Hearst III and Shai Agassi. Rachel serves on the Board of Directors for BRAC USA, KCET/LinkTV public media company and CREDO Mobile (Working Assets). Rachel earned an MBA in Global Management and Public Management from Stanford University and a B.A. with distinction from Smith College. She resides in California. Stephen Meade is an American entrepreneur, executive and business founder who is passionate about creating companies that make a difference in the world. He has the ability to catapult an idea from pure concept to the creation of a thriving business. In the past 20 years, he has created, incubated and architected nine (9) successful technology-based companies. He is a seasoned business leader who frequently speaks on the art of networking at executive leadership conferences and the largest communities of startup (i.e. executives, entrepreneurs, start-up founders, co-founders, students) around the world. In 2005, he founded Big Bamboo, LLC to serve as the incubator for ideas that are worth building a team around and bringing to market. Currently, all ideas come solely from the Founder, Mr. Meade, and the company does not take on or incubate outside business or services. He is currently the CEO of MonetaPro.IO, which is a FinTech Blockchain company for Global Companies to participate in Corporate Trade. MonetaPro.IO competed in and won the Silicon Valley d10e Global ICO contest, which to date was the largest ICO competition in the World featuring 32 companies. MonetaPro.IO also took 3rd place at d10e (Seoul, Korea), 4th place at d10e (San Juan, Puerto Rico), and 2nd place at d10e (Malta). Most recently, MonetaPro placed 3rd at CoinAgenda Europe 2018. Zarah's leadership experience has spanned international media, technology, politics, philanthropy, and social enterprise. As Vice President at iComply Investor Services, which leads the global compliance sector for digital finance and crypto-assets, she is also passionate about economic development, financial inclusion, and education. 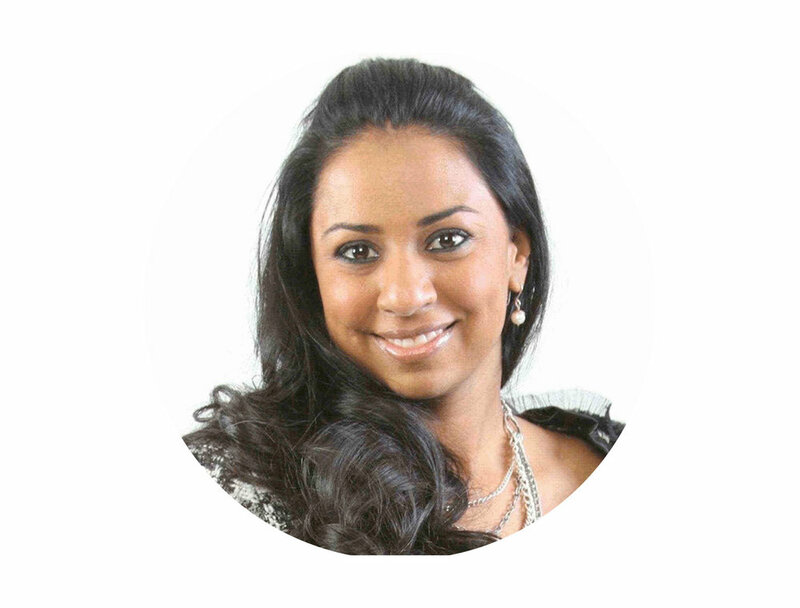 Zarah leads partnerships at Blockchain For Impact (serving the UN's Blockchain Commission for Sustainable Development) and is an advisor to several blockchain companies. She also sits on the Board of Directors at Refugees Matter Society. Brian Forde (born April 22, 1980) is an American entrepreneur and political candidate who was a White House senior advisor in the Office of Science and Technology Policy during the Presidency of Barack Obama. Forde helped lead projects like TechHire and President Obama's Climate Data Initiative. After leaving the White House staff, Forde became influential in the area of cryptocurrency and blockchain technology while heading MIT's Digital Currency Initiative. On July 19, 2017, Brian Forde announced he would challenge incumbent Mimi Walters for her seat representing California’s 45th congressional district in United States Congress. Forde, who grew up in the district in the city of Tustin, California, has said he is running to ensure his district’s constituents have a representative who reflects their values. He has expressed concern about current policies on health care, immigration, technology and civil rights. Brian (37), a United States Citizen, and Founder & President of Esposito Intellectual Enterprises, LLC (EIE)www.eie.rocks. EIE ultimately became a holding company for over 20 years of work, business startups, and investments. Focuses stem from manufacturing, distribution, retail, hospitality and hotel development, restaurants, commercial real estate, liquor, technology, media, energy, oil & gas, TELCOM, aviation, space, maritime, music, TV & Film, education, beauty, medical technology, security, hemp, and fashion. Brian brings a wealth of knowledge and experience to any team with his drive, ethics, and passion of connecting executives around the globe. His specialty is taking a company’s vision and launching it into the market with the correct team and resources to ensure its success. After 20+ years of owning his own businesses and self-funding them all, Brian has had the opportunity to build his experience levels to a point that has well prepared him for this next chapter of his career. His leadership and network of successful C-level executives and government officials around the globe is vast and relative. Brian has been extremely effective in high-profile executive roles that include high- stakes decisions and overcoming complex business challenges. He has been quoted as “unafraid of creating and seizing business opportunities, expanding into new markets, and launching innovative products and services.” His strong and proven leadership skills with the ability to make things happen has led him to receive, and accept, the roll, and position, of General Partner and President of Exchange Capital Partners, LP. (ECP). ECP is a fully audited and reporting public General Partnership with presently over $1.8b in assets on its balance sheet. Through his direction and leadership, he has brought online a 20-year pipeline of projects that exceed $16b. These projects are across the many industries under the umbrella of ECP. His integrity and relationships are everything to him. Over the years he has perfected his techniques in not only connecting the right people, but the right people at the right time, as time is our most precious commodity. Michele Bratcher Goodwin is a Chancellor’s Professor at the University of California, Irvine and founding director of the Center for Biotechnology and Global Health Policy. Goodwin is one of the nation’s leading experts on health law, regulation and policy. Her scholarship focuses on ethics, markets, access and privacy. Goodwin is also faculty in the Stem Cell Research Center; Gender and Sexuality Studies Department; Program in Public Health; and the Department of Criminology, Law, & Society. Goodwin’s scholarship is hailed as “exceptional” in the New England Journal of Medicine. She has been featured in Politico, Salon.com, Forbes, The Washington Post, The New York Times, Los Angeles Times, The Boston Globe, Chicago Sun-Times, NPR, HBO’s Vice News, and The Chronicle of Higher Education, among others. Trained in sociology and anthropology, she has conducted field research in Asia, Africa, Europe and the United States. A prolific author, her scholarship is published or forthcoming in The Yale Law Journal, Harvard Law Review, Cornell Law Review, NYU Law Review, California Law Review, The Georgetown Law Journal, and Northwestern Law Review, among others. Goodwin’s publications include five books and over 80 articles, essays and book chapters as well as numerous commentaries. She is credited with forging new ways of thinking in organ transplant policy and assisted reproductive technologies. Civil rights and civil liberties groups praise her scholarship, policy briefings, and amicus briefs on reproductive rights as visionary and at the vanguard. At the forefront of national and international health policy discourse, Goodwin was a member of the U.S. National Academy of Sciences, Engineering, and Medicine Committee on Issues in Organ Donor Intervention Research. She was appointed an observer by the United States National Conference of Commissioners on Uniform State Laws (for the revision of the Uniform Anatomical Gift Act). She has advised or given testimony before state and federal policymakers. She chaired several sections of the Association of American Law Schools, served as a trustee of the United States Law and Society Association, and was elected secretary general of the International Academy of Law & Mental Health as the first woman and youngest person to ever hold that position. A nationally recognized advocate for civil liberties and civil rights, Goodwin serves on the executive committee and national board of the American Civil Liberties Union and is an elected member of the American Law Institute. She is also a fellow of the American Bar Foundation and chairs the board of Progressive Health Partnership, which provides maternal and child healthcare services in Uganda. Goodwin has won national awards for excellence in scholarship, outstanding teaching and committed community service. Gov. Paul Patton of Kentucky commissioned her as a colonel, the state’s highest title of honor. In 2018 she was bestowed the Sandra Day O’Connor Legacy Award by the Women’s Journey Foundation. That same year, Goodwin was named teacher of the year by the Thurgood Marshall Bar Association. She is a highly sought after voice on civil liberties, civil rights, reproductive rights and justice, and cultural politics. Prior to teaching law, she was a Gilder-Lehrman Post-Doctoral Fellow at Yale University. Previously, she was the Everett Fraser Professor at the University of Minnesota and a visiting professor at the University of Chicago.